Somebody Cares Wants to Help YOU Get Prepared! 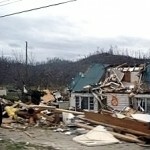 Phase 1 of Isaac Relief Underway – YOUR Help is Needed! Caring for People in the Midst of Crisis: Somebody Cares Goes Mobile!